Nikon has updated the firmware of both the D4 and D800 professional DSLRs. The D4 receives updates to v1.01 for both firmware A and B, while the D800 and D800E only have B firmware v1.01. In both cases the firmware corrects minor operational glitches, including one that could cause the cameras to occasionally lock up. 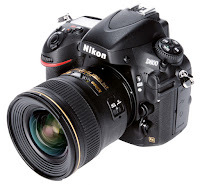 The updates can be downloaded from Nikon's websites.